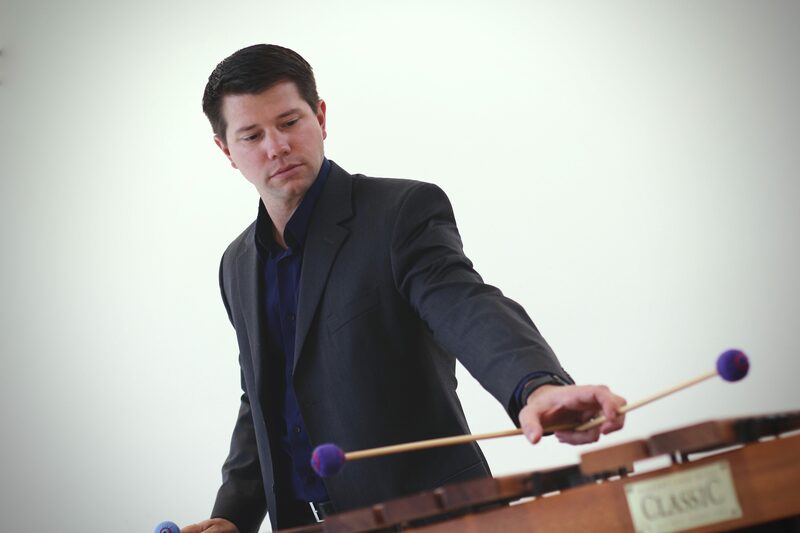 Percussionist Jonathan D. Smith is an active educator, chamber and orchestral musician, and soloist. Since 2015, he has been a member of the Toledo Symphony Orchestra, where he serves as section percussion, and Jackson Symphony Orchestra, serving as principal percussion. Smith can also be seen performing with ensembles such as Detroit Symphony, Ann Arbor Symphony, and Lansing Symphony Orchestra. He has also participated in music programs at Interlochen, Music Academy of the West, and Pacific Music Festival, taking him from North America to Asia performing a vast variety of music in different halls. With an immense background in musical theater, Smith is currently a percussionist with Disney’s production of Aladdin running on Broadway in New York City’s New Amsterdam Theatre. Some of his past Equity productions on both drum set and percussion include The All Night Strut, Sisters of Swing, Nunsense, Nunsense II, Nunsense Jamboree, and Nunsensations. Non-Equity: Legally Blonde, Next to Normal, A Little Night Music, Bonnie and Clyde, Godspell, School House Rock, My Favorite Year, Songs for a New World, Joseph and the Amazing Technicolor Dreamcoat, Pirates of Penzance, The Robber Bridegroom, Kiss me Kate, Annie Get your Gun, The Pajama Game, Working, and Blues in the Night. In 2017, Smith joined the esteemed faculty at Bowling Green State University as an adjunct professor of percussion. Placing an importance in education, he maintains a private studio of over 30 students and has presented masterclasses across North America. His research interests involve the freelancing percussionist with particular emphasis on Broadway’s musical theatre productions and how to best prepare the 21st-century percussionist. Smith’s teaching philosophy is built upon an all-encompassing percussion skill set, adaptability, and consistency, with a focus on “transferable technique” – a topic that can be utilized on every percussion instrument. In addition to his performing and teaching career, Smith is the percussion coordinator at the University of Michigan where he manages all percussive requirements for the School of Music, Theatre & Dance. Smith was born and raised in Lansing, Michigan. Raised by two musical parents, John Dale and Janine Smith, he had an immense amount of exposure to the arts at a young age. He attended the University of Michigan (BM ’09) and The Juilliard School (MM ’11) having the privilege to study with Dr. Michael Udow, Joseph Gramley, Jonathan Ovalle (U-M) and Daniel Druckman, Gregory Zuber, and Joseph Pereira (Juilliard). In 2016, Jonathan completed his DMA from the University of Michigan, where he was awarded a full-tuition scholarship and served as a graduate student instructor teaching percussion methods and coaching U-M’s famed percussion ensemble. Smith is a proud artist/endorser with Pearl/Adams, Innovative Percussion, and Remo.